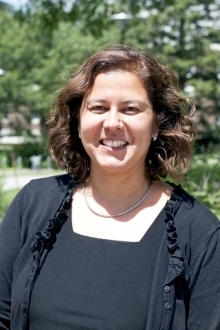 Myra Fernandes' research program involves developing an understanding of the cognitive processes, and brain regions, involved in memory and language. She is interested in knowing how we encode new information, how it is organized and represented in the brain, and how we reactivate the information during retrieval. She is particularly interested in how these change as people age. She evaluates the ability of young adults and seniors to carry out a memory task under conditions in which there is another on-going task competing for their attention. She also uses neuroimaging (functional magnetic resonance imaging: fMRI) to identify the brain regions and networks mediating memory processing; these are used to determine how the strategy and brain regions contributing to memory change as we age. A related research interest lies in understanding how different types of information (words, numbers, symbols, spatial layouts) are represented and organized in the brain, through the use of behavioural paradigms and fMRI. Her other line of research examines the relationship between neuropsychological and neuroimaging methods of evaluation of language localization.